Hi everyone, Chubskulit here. 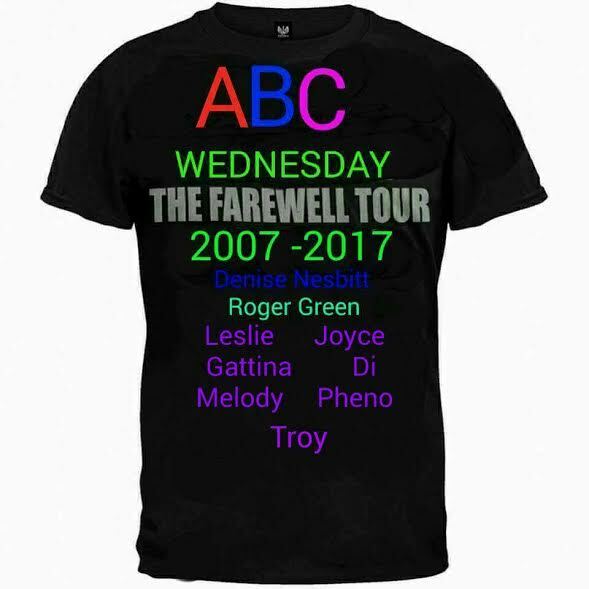 I am delighted that I was given the chance to be part of this educational and exciting meme, ABC Wednesday. Thank you to ABC Team for giving me this opportunity to contribute to Round 10. I am a mother of two chubby cheeks I called Burritos. These two keeps me busy but the cuddles, chuckles, and lots of hugs and kisses are always the rewards I truly enjoy. So are you ready to chime in? Come and gather your Cs and explore what we CAN show and learn through ABC this week. A picture below was taken a couple of years ago in Chinhae, South Korea. What utterly impractical or useless skill do you possess that most people do not? - I can cross my eyes for a long time, can you? If someone were to play you in the movie of your life, which actor would that be? - Gong Li, the actress in Memoirs of a Geisha. - I am a fan of Celine Dion so it would be "The Prayer"
What food would you most like to have if nutrition and calories were not an issue? What is your most favorite and least favorite sound? Top 3 people (dead or alive) would you invite to dinner? What would the main course be? - My late father and brother ( I have so many things to tell them that I wasn't able to say when they were still here), and Mother Teresa, I have so many questions to ask her . Rice and chicken cordon bleu. your kids are still babies in this photo---they're so cute! Yes they were still little in this photo. Great introduction! Welcome to the club. Indeed Roger and Leslie have said it Rose........C is for Club - come on board! lol! Don't CRINGE at my CRASSNESS! It is all part of my CHARACTER......some may call it CRAZY!!!!!! I would rather call it CREATIVE!!!!!!! lol! Charming Rose! What a great introduction! Thanks once again ABC Team! So happy to see you hosting Rose! Great pictures of you and the Burritos. Mother Teresa would definitely be on my list. Although, I think I would be to nerves to eat:) and my father. I'd be nervous too I guess lol. Thanks Lisa. Glad to see you hosting sis...proud of yah! I can't believe how much they've grown! Thanks sis, they grow like weeds, aren't they? hey hey...gr8 one...your little ones are too adorable. Thank you so much Carver! I loved your introduction! Have a great week. Hey Chubs, this introduction was not just chatter! Nicely done! Love your nickname for your children, Burritos! Enjoyed your interview here, Rose. I thought I'd crack up when I read about you crossing your eyes. Great answers. Hahaha, I used to tease my husband, what if I showed up in the airport with crossed eyed during our first meeting, would he be interested still? He would just laugh lol. Thanks Kay. Your post is charming and so are your two little ones! You'll know me more when you visit my blogs hahaha. Thanks PP. Hi Rose, nice to "meet" you. lovely pic. thanks for sharing. A nice interview - it's nice to meet you and your cute kids! It's nice to meet you too Annie and Suzy! Hi Rose - great intro and beautiful little ones! Hi Rose, wonderful to meet you! Great introduction. Your kids are so cute. Now it explains why you call your blogspace as Ms. Buritto :) Glad to know you more.